Systems for sizing clothing differ all over the world. This is especially true for Chinese clothing sizes. In fact, clothing sizes can differ from one merchant to another. If you are interested in purchasing Chinese clothing, you will need to have precise measurements available in order to make proper conversions from Chinese sizes to American sizes. While some conversion charts exist, this is the most reliable means of ensuring accurate sizing. You will need to know your precise American shoe size to find the proper fit for Chinese shoes. Chinese shoe sizes run from size 35.5 to 49 in women's shoes, and from size 33 to 48 in men's shoes. Size 35.5 corresponds to a women's size 5 and 49 to a women's size 15.5 in American sizing. A Chinese men's shoe size 33 would be very difficult if not impossible to find in an American counterpart. A more likely American men's size 6 would correspond to a size 39 in Chinese men's shoe sizing, while size 48 in Chinese men's shoe sizing would correspond to a men's size 13 in American sizing. Incremental sizing occurs on the whole size and in some instances on the half size. Converting women's clothing sizes from Chinese to American sizing varies according to the item of clothing. In general, American women are larger (taller and heavier) than Chinese women, so sizes will run small. Additionally, arm length and inseam may be shorter for Chinese sizes than for American sizes. For custom-made clothing, the best way to make an accurate size determination is to take a series of detailed measurements: across the bust line, waist and hips, and also the length between the shoulder and the fullest part of the bust and the measurement between the breasts at their fullest points. Other measurements include shoulder to shoulder, armpit to elbow, outer and inner leg and upper arm to elbow. For off-the-rack clothing, provide your accurate American size along with your standard measurements (bust, waist, hips, inseam) to the merchant. Many merchants have their own size charts and can make the conversion for you. Others will provide charts on their websites, although the Chinese sizes may be listed in Chinese characters rather than in English. As with women's clothing, taking precise measurements is the best way to ensure accurate conversion from Chinese to American sizing for men's clothing. Men's size conversions from Chinese to American sizing for dress shirts run from size 36 to 45. This corresponds to American size 14 to 18.5, respectively. Sizes run on half inch increments. Knitwear runs from size 36 to 50, corresponding to size XS to XXXL in American sizing. It should be noted that size Chinese size 36 has no corresponding American size. 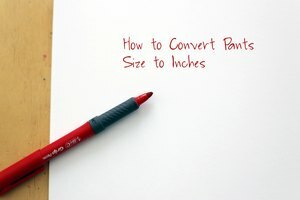 Pants run from size 27 to size 36 and correspond to American size 29 to 42-43. Sizes go up by increments on the inch. Chinese children's clothing sizes are based on the age of the children. 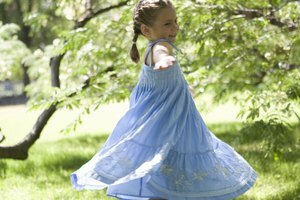 Measurements and corresponding sizes are generally available for children from 29 to 63 inches long (tall). Chinese sizing for children's shoes can be based on the length of the sole of the foot or by a conversion from American shoe sizes, depending on the merchant. Converting Chinese ring sizes can be made by comparing the corresponding American ring size. Conversions can also be made by measuring the circumference or diameter of a ring that fits in either inches or centimeters. As with most items of clothing and accessories, the maximum available ring size in Chinese sizing is likely to be smaller than the maximum available ring in American sizing.